About a month ago their shelter was flooded leaving dogs homeless with nowhere else to take refuge – imagine the horror of discovering your life long work gone overnight. But fight back they did and have cobbled together with make do and mend. In addition to the daily practicalities of running the shelter with little or no facilities and driving around Didim to feed starving street dogs, Karen has to raise funds and update their Facebook page in order to let their friends around the world know how treatment is progressing on injured and sick dogs and equally as important, post details of pups who are looking for a new home. They rely on donations for medical care, food and funds to transport some of the dogs back to the UK where they will have a chance of a better life. Amazingly, a miracle happened this week and they won a competition which will give them enough funds to buy a vehicle, which will mean that they will no longer have to rely on lifts or taxis to rescue injured or sick animals. Very few stories touch me in the way that Annie’s and Aydin’s have. I was reading through my Facebook feed last week, with a mug of hot tea and one of my Dad’s famous banana sandwiches, when the poignant picture of two very young pups caught my eye. I don’t think I will ever forget that image of the two melancholy young dogs who had been so maliciously treated, cuddling up to each other for comfort. Annie had been thrown from a tractor on a busy main road with her brother who was killed by a speeding car and was found cowering over his body. Later that day Karen also collected Aydin who had again been discarded by an evil individual who had cruelly burned his ears off when he was just a matter of a few weeks old. 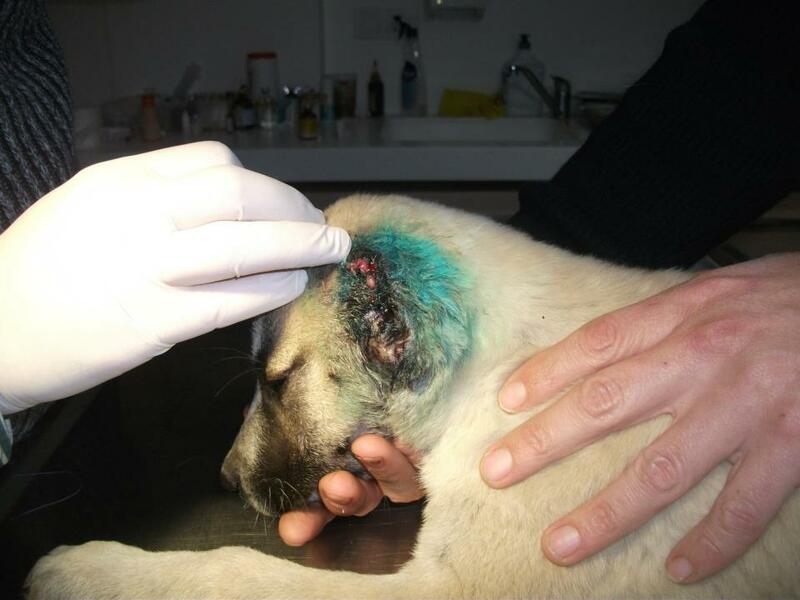 The damage was so bad there was nothing left of one ear and the other was so badly damaged, it had to be removed too. Within seconds of being put into the back of the car with Annie, frightened Aydin snuggled up to her and they have been inseparable ever since. Annie is currently quite poorly and Aydin is also receiving regular vet treatment for his injuries, all of which is being funded from a few meagre donations and Karen’s own savings. She hopes to find them a loving home together when they are well enough so that she is able to provide a safe haven for the next injured and sick pup. Many times despite the loving care, a lot of the dogs are just too poorly or have been too abused to be saved and this is when Karen and the rest of the volunteers must possess super human strength to be able to get up and do it all over again the following day, never knowing whether the next one will make it either. Cruelty to the most vulnerable is abhorrent to most of us and yet there appears to be no deterrent, so inevitably it will happen repeatedly. So tonight before I go to sleep, I will say a silent prayer of thanks for Karen and the other volunteers like her around the globe that endeavour each and every day to make the world a better place. But for now, can I ask you do one thing for me today, as I know that we’re living in a world where we are bombarded with pleas to like this or that picture and donation requests, but how great would it be if some of you shared the Turkish Animal Group details or The Turkish Animal Group (T.A.G. 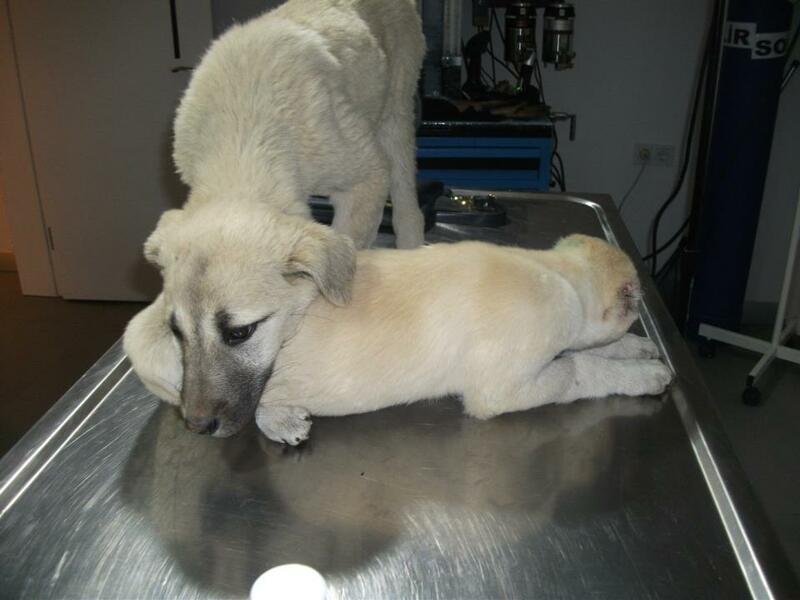 )- Dog Adoptables; it won’t cost you anything, just a few seconds of your time and yet it will make a significant difference to Annie & Aydin, not to mention all the other Aydins and Annie that are still waiting for Karen to save them. What are you waiting for, go on make Annie’s day! Just amazing… I will most definitely do ALL that I can to spread the word, and donate. THANK you to Karen (and to you, for relating her story), a million, billion, trillion times over, for helping those with no voice, in such dire need. I do have a real problem with deliberate cruelty especially to those most vulnerable and on behalf of TAG, thanks Maggie! Heartbreaking. What a wonderful person, doing the work she does. I will reblog this for you. Trev and I found you through our fellow blogger Long Life Cats and Dogs…Thank you for posting this. So sad. Thank you for posting about this. It’s so sad sad to read about Annie and Aydin. I think Karen is an angel and a hero – Thank you Karen – from the bottom of my heart. And thanks for sharing this post with me, Crazytraintotinkytown. I will never understand the cruelty of some people. We find many of the same things here in Mexico and work with a free neutering and spaying clinic that was established in our area by vets from Canada. We have also rescued a street dog and brought her back to Canada. She’s wonderful. Wow, amazing person!!! Mind-blowing Karen!!! Thanks for sharing!!! Of course!!! They are real heroes !!!! I think what this lady is doing is great. Me and my neighbor feed the stray kitties around here sometimes. Sadly, there are some people who believe people like us make things worse by “encouraging” the cats (or dogs) to hang around. Sad. It’s so unbelievable and sad! Oh Dallas, what a tale of achievement and woe. We will at least reblog but won’t be able to do them justice until next week. Fabulous people and pups and a great story. Heart breaking to see such things happened, My heart sunk. It’s hard to believe that anyone could do that to ANY living creature, let alone a puppy. I’ve heard stories from soldiers in Afghanistan of the locals doing similar things to their dogs. So heartbreaking. will also be sharing your post. i am an animal lover and it saddens me when i see them mistreated. I, too, will do everything I can to help. First stop: Facebook. Cruelty to animals makes me so sick and I can’t imagine what would make a person do such horrible things. You’re right, Karen is a hero. I get so much joy from my dog. I can’t imagine how people can treat them so badly. Karen is amazing. I will share this post. Our family rescue pets are a constant joy to us but they came to us so I will never understand or excuse cruelty so thank you for sharing! This is such an amazing story to hear! It really reassures me to know that there are still people who find it in their hearts to help animals like this! Thank you for the uplifting story and I will send well wishes to the dogs and hope they recover quickly! Amen to that! I’m afraid Karen does all the hard work, mine is the easy bit! It makes me heartsick to see such cruelty to animals. I just don’t understand cruelty to animals – I literally don’t get it. I like to think the best of humanity whenever I can, but there must be some individuals who are just vile through-and-through. Our little cat is a rescue cat and she had been badly beaten up when she was found. Cuddling her on the sofa last night it made me very emotional to think that she will never be scared or lonely again. I’m so grateful there are people like Karen out there helping more animals escape lives of pain and fear. I can never understand why some people not only mistreat animals, but are downright cruel to them. It’s a sick world. People like Karen are worth their weight in gold, but so often go unnoticed in the work they are doing to help injured and homeless animals – all out of their own pocket and welcome donations. I will be happy to share this on my FB page and hopefully, more people will become aware of Karen’s shelter and be able to help in some way. What a shocking and yet heartwarming story. Karen and her helpers, like so many animal-loving volunteers around the world are so selfless, and need all the help they can get to save those helpless animals. I can’t believe how people can be so cruel, and it happens everywhere. Have shared this on FB. There is so many fantastic people out there … working with needed animals – you had me in tears here … I wish I could take the dogs, but with me travelling so much still – not fair. I can’t for my life understand how anyone can be cruel to an animal or a child … I can’t get my head around it. If I donate through the Chip-in link with the money reach Karen. There is a special place in this world and the next for those that care about the poor unfortunate animals. Such wonderful people to do this work, best wishes for all involved. Reblogged this on The Daily Muse. 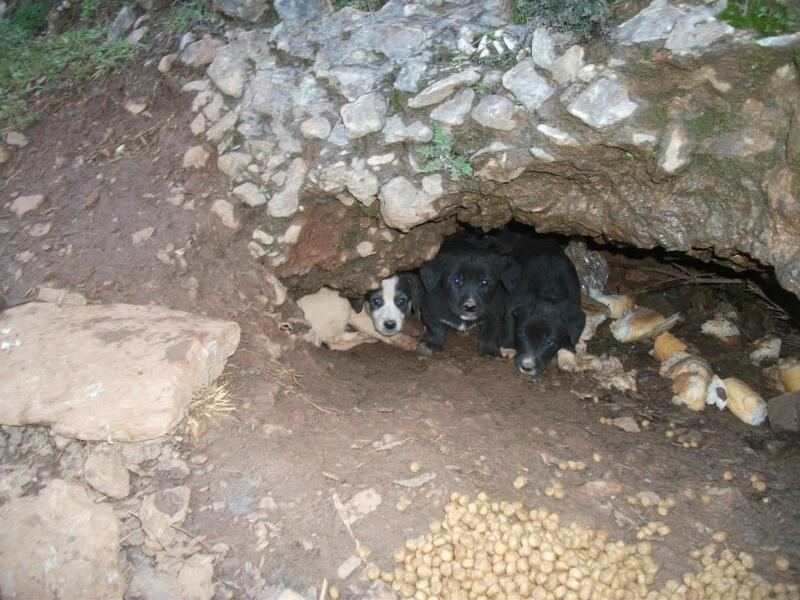 Sadly it’s all too common in Turkey which is why there’s a need for shelters like Karen’s as in all the government run ones, the dogs are just neutered and tagged and dumped back on the streets and sometimes they are dumped out in the wilds in the middle of nowhere to fend for themselves. If they’ve been abandoned, they have no hope of surviving. Thanks for sharing Madhu and as I don’t get out and do what Karen does each and every day, my part is so very minor. Hi, I have nominated you for the Versatile Blogger Award if you would like it! They most certainly would and thank you on behalf of Karen’s rescues. A big thank you from me. If you learn to care for animals, you also learn to care for people. You get a big heart. I know you’re right and thank you too for reading! Just been to ‘Chipin’ and it warmed my heart to see the donations comming in. Bless you and bless Annie. Really? I didn’t know that and I think Karen has been up all hours nursing the pups so I’m not sure she’s aware either so will have to touch base with her after the late night feeds of the beach dogs! Wonderful job Karen. I can’t understand why anybody would want to harm poor little dogs thus…how can humans be so cruel!!! How you treat animals speaks a lot about you! I will certainly share this with my friends on FB. I wish I could do more physically & financially to help the animals who are so cruelly treated. I have rescued several dogs and cats in the past and know how grateful they are to their rescuers and how loving they become. Thank goodness there are people like Karen in the world. The sharing is the most important part of all, so thank you very much! I will share it. I can’t understand how anyone could do this either. There was a case here some years ago of young men running over kittens deliberately. I guess some people aren’t properly developed. They are some very disturbed people out there but it warms my heart that there are also people like Karen so on behalf of the Turkish Street Dogs, I thank you for sharing! The work of this rescue and the likes of Love Underdogs make my efforts seem insignificant! reblogged. I despise all cruelty, it doesn’t reflect very well on us humans does it? And yet we’re supposed to be the most intelligent ………….. thank you for sharing! Bless Karen! Trying to help the animals that have nowhere to go! She is indeed an angel, but she’s just heard that her right-hand man has got a job in another town so she’s pretty much back to being a one-man band again! This is such a sad and wonderful story. Animal abuse upsets me so much. I just can’t even understand. Thanks for sharing a story about people who are trying to make a difference! That’ll cheer Karen this morning since she’s on her own now! This was so heartbreaking to read. I realize Karen is working miracles (she’s a saint! ), and good things are happening, but to read the stories of these poor dogs breaks my heart. I wish I could adopt hundreds of dogs. Rich’s cousin rescues dogs, and it is so hard to read the stories and see the pictures she posts on Facebook as she pleads for foster homes and adoptions. Will say a prayer for Karen tonight. Oh, Dallas, that brings tears to my eyes. I suspect she must feel so defeated at times, yet the dogs desperately need her, and she has to stay strong for them. I’ll put my husband onto her story as well. Maybe one day we can help, but for now we can pray. I’ll get it from my husband in the morning. Thanks! Brill and don’t forget to post it on here! I write this with tears in my eyes…my wife Susie and I have 5 rescues (2 dogs & 3 cats) that we shower with love and affection…they in turn show us what real love is…we will be start donating weekly to this fund…and please let us know if there is anything else we can do…much love and many blessings to you and Karen…be encouraged! On behalf of the Turkish Street Dogs not forgetting Karen, I thank you! Just knowing that you read and shared this warms my heart and I think your rescue family got lucky! Thank you…but I thank Susie and I are the ones that got lucky…just an FYI…a couple of weeks ago we heard about a dog in Louisville, KY whose owner was dying of cancer…the dog was being bordered at a local kennel by some friends of a friend…after much soul searching and an ache in our hearts that wouldn’t go away…we are now headed down this weekend to meet the dog and introduce her to our brood…please pray for the best…our Gang of 5 can take some special adjusting to get use to…be encouraged! will share on my FB page! Cheers Maddie and congrats on having five books under your belt with another underway – I’ve said it before and I’ll say it again, you are so disciplined! Thank you, Dallas! I always appreciate your kind words and encouragement. Thank you for making the world aware of this situation. My part in this is very minimal the true thanks go to Karen and all the other animal welfare volunteers in Turkey and around the world. You’re fabulous for spreading the word on this. I’ve found ‘strays’ everywhere I’ve traveled and even brought one home. Couldn’t bring them all back, though. Got into an altercation in Cairo with a pack of boys beating a dog mom and pup. When I told them (yes, in broken Arabic) that their mothers would be ashamed of them, they laughed. One mother stood in a doorway and shrugged. Lots of working critter gonads out there and way too many stupid humans. Cruel or apathetic? It doesn’t matter, does it? Ignorance is an appalling excuse for cruelty and yet we seem to live in a world which exults in abusing the most vulnerable. Sadly, until deterrents are enforced, there will be little change. On behalf of Annie, thank you for dropping by! 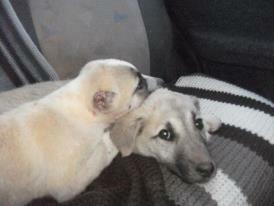 On behalf of Annie, Aydin and the other rescue pups – thank you so much for sharing! This blog touched my heart, and I had to reblog this. I have also shared this on my facebook page, and included the links to the rescue. I really hope we can get this spread around. Every single person can help prevent animal cruelty! Bless your heart for being so wonderful and caring. 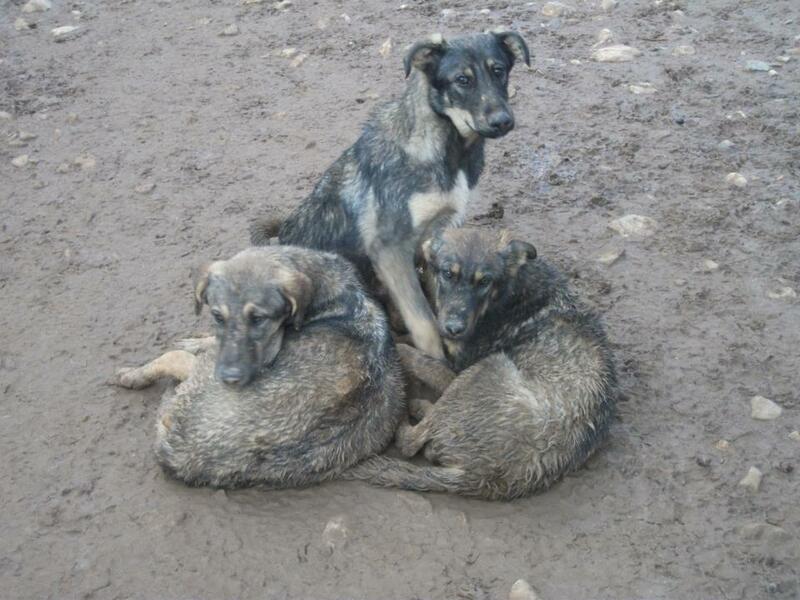 This is heartbreaking…poor sweet babies!